No matter how you are planning to get here, we've got deals for you! Our partnerships with major international airlines and local rental services will help you easily plan your trip while saving a few bucks with special pricing. ResorticaHawaii.com is partnered with trusted airlines so that you can book your next trip at the best possible rate! 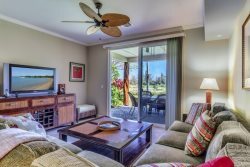 Use the links below to book to Kona on the Big Island with Hawaiian Airlines or Alaskan Airlines to receive the ResorticaHawaii.com discounts! We know that a positive travel experience starts at the airport, and a great rate on flights is a great way to begin your next trip to paradise! Once you have found the perfect Hawaiian vacation rental with all of the amenities you need, you can explore these airlines to book your discount flights to visit. Start planning your trip with ResorticaHawaii.com today! Adventures await you on the Big Island, Hawaii. Reserve your car today with Enterprise Rent-A-Car. We partner with Enterprise Rent-A-Car so that you can book your next car at the best rate. For those of you looking to explore the Big Island of Hawaii, the freedom of having your own car can make a huge difference! There are a number of outstanding scenic drives to take advantage of during your visit, and a rental car is the best way to experience them. We recommend you drive through Hawaii Volcanoes National Park to see the Holei sea arch raise out of the 80 to 90 feet high cliffs! Or discover why the Pepe’ekeo scenic drive is the most famous scenic route on the Big Island. With a rental car, you can drive the entire Big Island and soak up the variety of scenery, culture, and charming coastal towns that make this destination such a beautiful and memorable getaway. Need a car during your next vacation to Hawaii? Use our quick link to Enterprise Rent-A-Car below for discounts and all your car rental needs.